We give emotional and practical help to people who have been affected by crime in Bedfordshire. We’re an independent charity and you can contact us for support regardless of whether you’ve contacted the police, and no matter how long ago the crime took place. We’ll help you for as long as it takes to overcome the impact of crime. 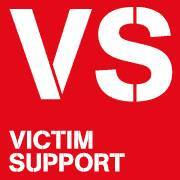 If you call your local Victim Support team, we’ll make sure you get the information and support you need. This might be arranging a meeting for you to talk to us and receive emotional support in confidence, helping you to fill out a compensation form or get advice on how to make your home more secure. If you’ve been affected by crime, call your local victim care team in Bedfordshire on 0300 303 0165. Lines are open Monday to Friday 10.30am-6.30pm and Saturdays 10am-4pm.